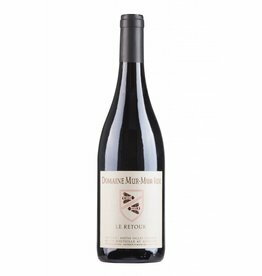 Marc Pichon bought the Domaine Mur-Mur-Ium, one of the most famous and qualitatively outstanding wineries of the Ventoux, in 2008. The winery gained world-wide popularity through high evaluations by Robert Parkers in the early 2000s. The name of the winery, which comes from the Latin, means "the humming song of the bees", which fits the philosophy of Marc Pichons, does not use chemicals and pesticides, and also treat the vines and soils exclusively manually. Today, two lines are produced on 21 hectares of vineyards, the Mur-Mur-Ium estate and the "Anne Pichon" series named after Marc Pichon's wife. The wines are made in an accessible style and do not need much time in the bottle to drik well. In addition, they are characterized by very fair prices.